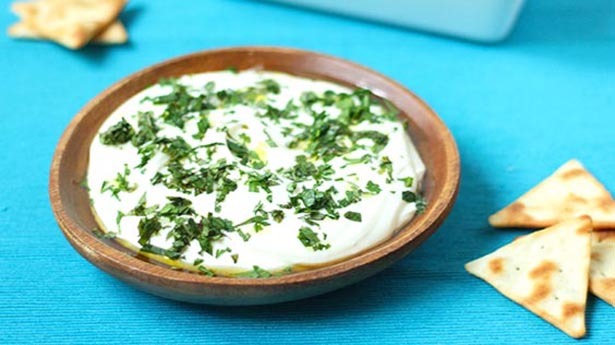 Feta cheese gets a makeover with this light and lemony herb dip. It’s perfect to serve with crackers, fresh vegetables or spread on a crostini. Place feta, cream cheese and next five ingredients in the bowl of a food processor fitted with the steel blade. Blend ingredients until well combined, stopping to scrape down sides with spatula. Blend again until smooth. Transfer dip from food processor to a covered container. Chill in refrigerator for at least one hour. When ready to serve, spoon into serving dish. Drizzle with olive oil and top with the fresh herbs. Serve with pita crackers, crostini or fresh veggies.